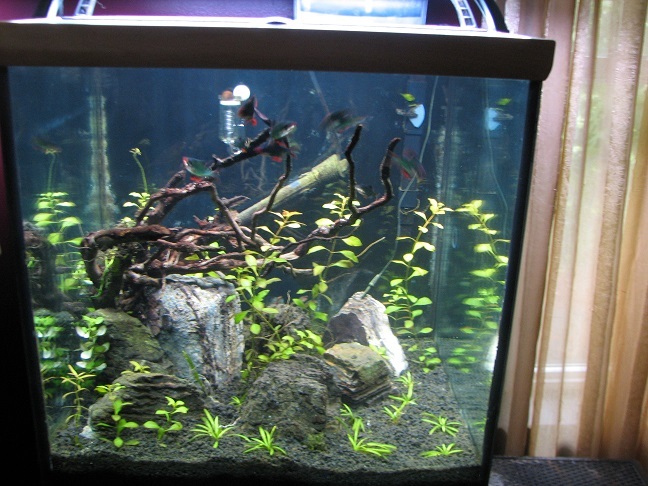 Posted by Raven Bower on July 27, 2014 in Gothic Living | Comments Off on Revamped Display Tank! Since there’s a new aquatic on his way to our home (you’ll see when I get him, he’s super rad!) I had to switch my 20g display tank into a home for him. 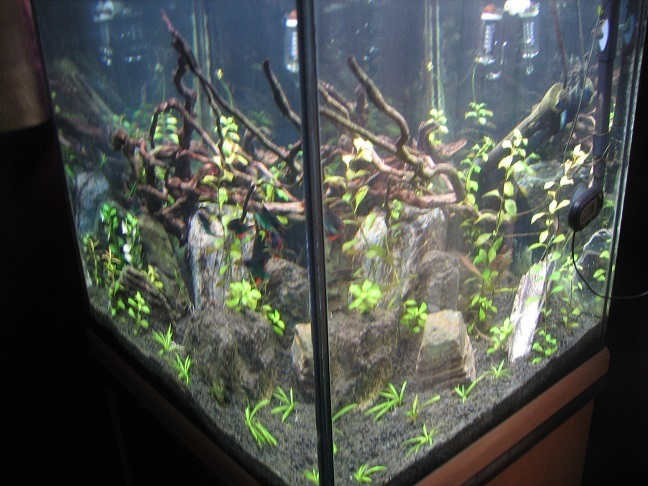 Since this particular beastie doesn’t like bright lights, I also had to move my high light stuff like the C02, plants etc. 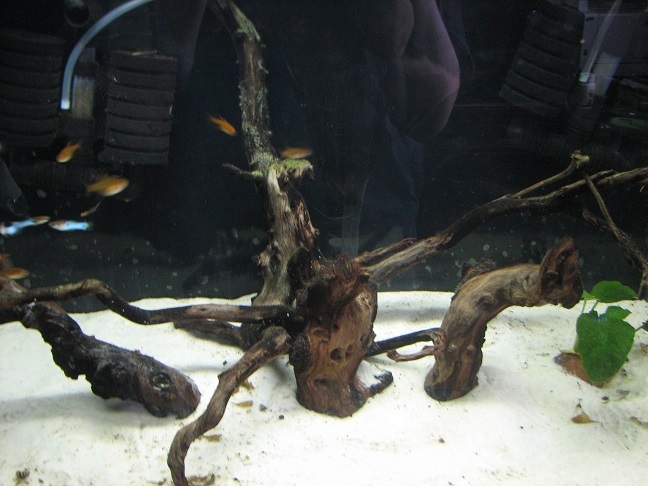 So I took this 30g cube, which was set up months ago but never really liked how it turned out, and melded the 20g equipment and plants plus did a total re-deco with the rocks and twiggy driftwood. Liking this one a lot better! Still not done with the plants though. See that Red Rubin near the back? He’s gunna be switched out with a bunch of scarlet temple plants. With this new design, the red rubin will grow too slow and get too overpowering for this setting. 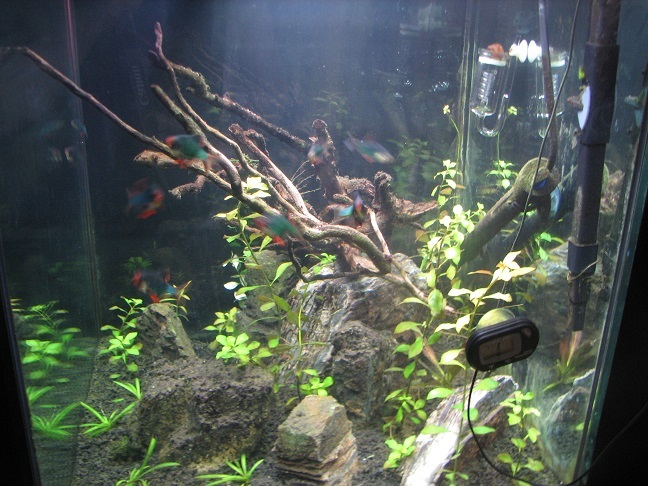 So he’ll be switched to the 40g under lower lighting, no C02. 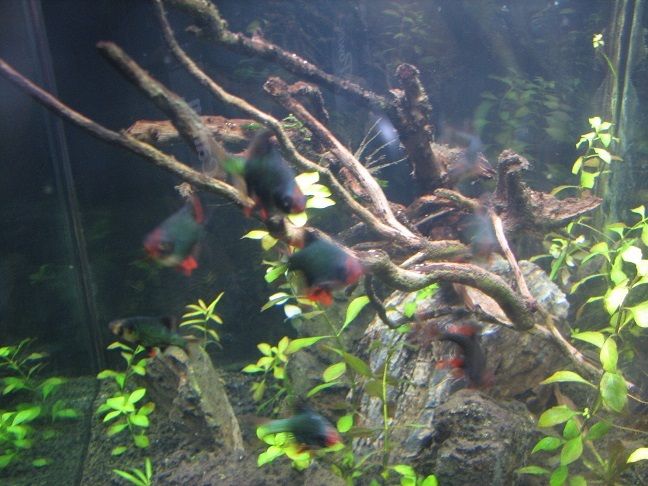 Still debating the other denizens – right now it’s a toss up between serpae tetras, rosy barbs, cherry barbs, blood fin tetra or some other semi-aggressive schooling fish that can hold its own with spunky green tigers. It’s obviously not done, but it’s a big change. 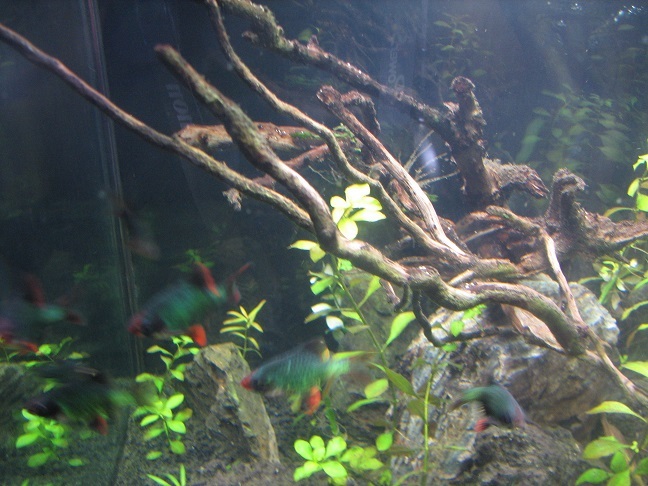 The plants are on order and its final occupant will be home in the next week or two! That’s all I’m tellin’ ya!